Embracing the chaotic and absurd, Dadaism made a searing critique of the cultural and artistic establishment at the beginning of the 20th century. The Dada art movement was born in Europe and North America, across Zurich, Cologne, Hanover, Berlin, Paris, and New York. From 1916 until the mid-1920s, Dada artists confronted conformity and logic, experimenting with forms and languages they considered to be the opposite of the status-quo, to be ‘anti-art.’ Dadaists defined the visual appearance of their work as secondary to the ideas and critiques it expressed and in this way their oeuvre can be read as a significant precursor to the birth of conceptual art. Dada emerged as a result of the outbreak of World War I, with many artists seeing the rationalist development of bourgeois and colonial culture as responsible for the horrors of warfare. The Dada group was informal but initially centered around activities at the Cabaret Voltaire in Zurich. Wishing to reject social values and galvanize radical leftist politics, Dada practices included experimental theater, collage, photomontage, chance-based procedures, and the readymade. To try to define Dada though is to miss the point. The project strove to undo meaning and corrupt traditional understanding of what artworks can and should do. 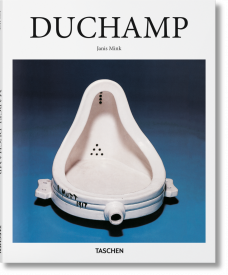 The most shocking example of this was Marcel Duchamp’s Fountain, an ordinary urinal which he submitted for exhibition. Comprising a range of avant-garde artists, the Dada movement interwove with Surrealism, Cubism, and Futurism, refusing to be easily categorized. 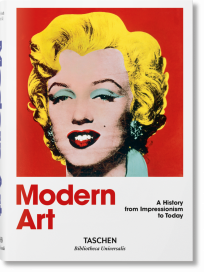 TASCHEN provides a comprehensive book overview of this revolutionary club, including detailed attention to members such as Tristan Tzara, Marcel Duchamp, Hannah Höch, Kurt Schwitters, Francis Picabia, and Man Ray. 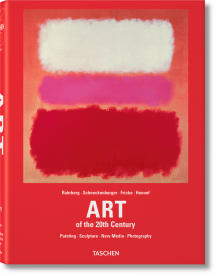 Book titles on artists Joan Miró and Max Beckmann pay tribute to the vast influence Dada had on the development of modern art. Like few other movements, Dada’s anarchic spirit still guides artistic strategies to challenge the normal and intervene in the accepted.